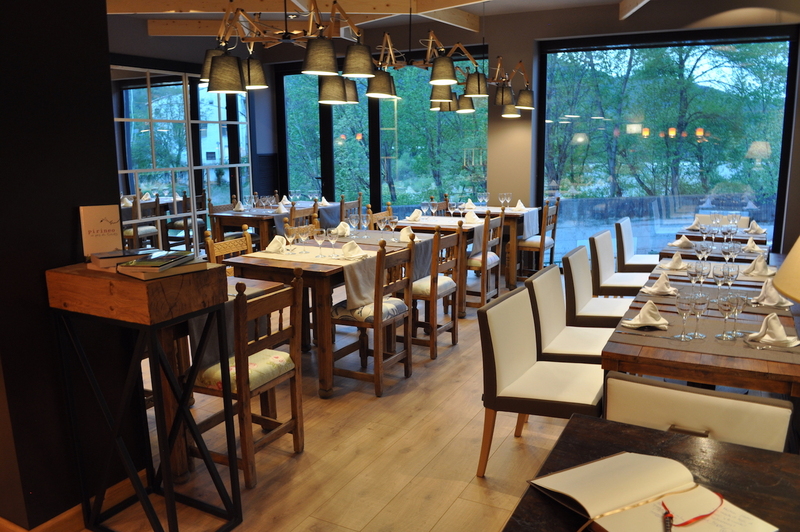 Services of the Hotel Sanchez in Ainsa, Huesca. 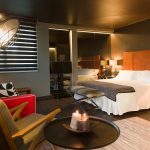 The quality of the services of Hotel Sánchez will make our guests feel at home. La Terraza-Bar-Café Sánchez is characterized by its vitality, joy and colorful, unmistakable in the heart of Ainsa along the Ara River. Hotel Sánchez offers the lovers of mountain biking facilities. See our special offers on events tab. Hotel Sanchez has a children's play area, ideal for children. Has covered parking for motorcycles and limited parking spaces for cars. We also have outdoor parking. Reservation required. The Hotel Sánchez offers its clients and totally free of charge its Business Center and free Wi-Fi throughout the hotel. The Hotel Sánchez offers all means to help you to make all kinds of private, social or corporate events, and make them a success. 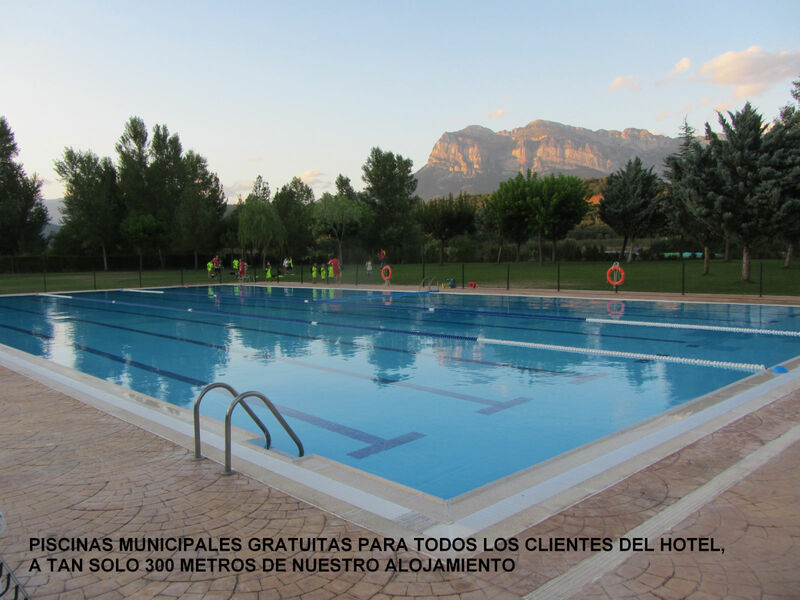 The Hotel Sánchez offers exclusively to its guests free tickets for the municipal swimming pool of summer. In addition we offer an information service and ticket sales for the House of the Puppets, Museum of Interpretation and Festivals of Castle of Aínsa. We help you to know and enjoy our wonderful environment by performing all kinds of outdoor activities with guided tours and adventure activities, rafting, caving, canyoning … We have a service for 4×4 excursions. The hotel Sanchez takes care of and pampers its clients offering the services of an expert masseur. Book your massage in advance and make your stay perfect.